Product prices and availability are accurate as of 2017-05-03 18:59:42 BST and are subject to change. Any price and availability information displayed on http://www.amazon.co.uk/ at the time of purchase will apply to the purchase of this product. Size may be a little deviation due to manual measurement; Colors may be a little different due to different monitor display, thanks for your understanding! 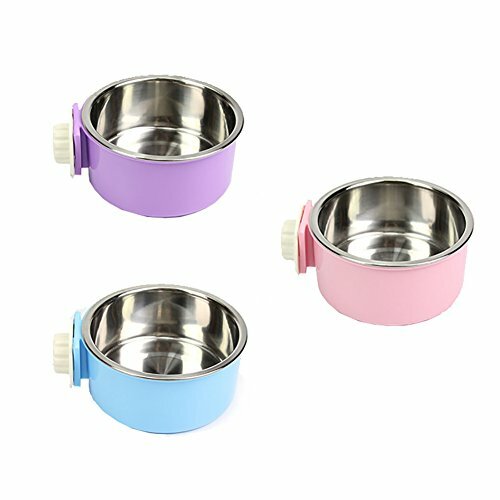 This hanging bowl attach directly to the cage for easy feeding, Remove from hanger for easy cleaning Round bowl design can contain food and water at the same time, easy cleaning and filling, cross lock design, it can fixed to the cage.2 in 1,a plastic fixed bowl and metal bowl. 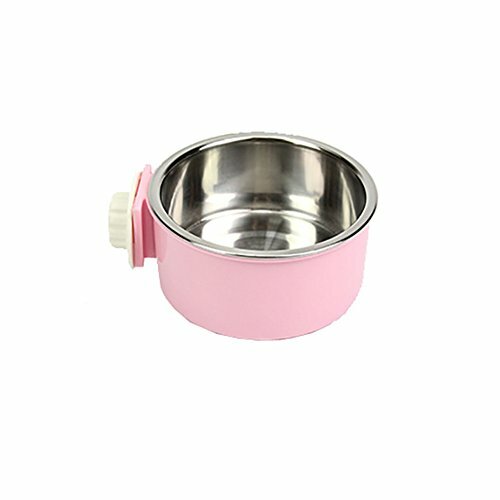 Ideal for holding water and pet food for your dogs or cats. 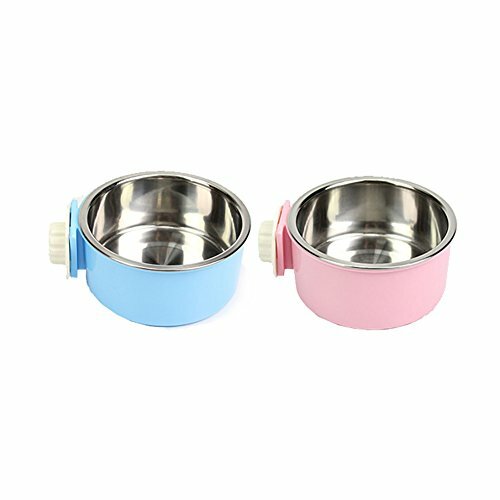 There are two parts, and can separate, you needn't to install the food bowl every time. 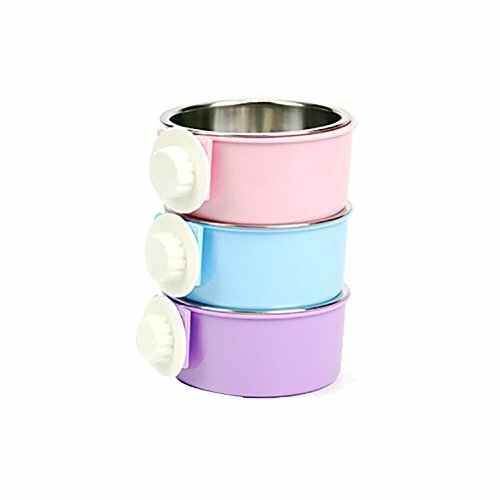 Durable stainless steel is easy to clean and suits any home's decor. Beautiful Design in Stainless Steel.